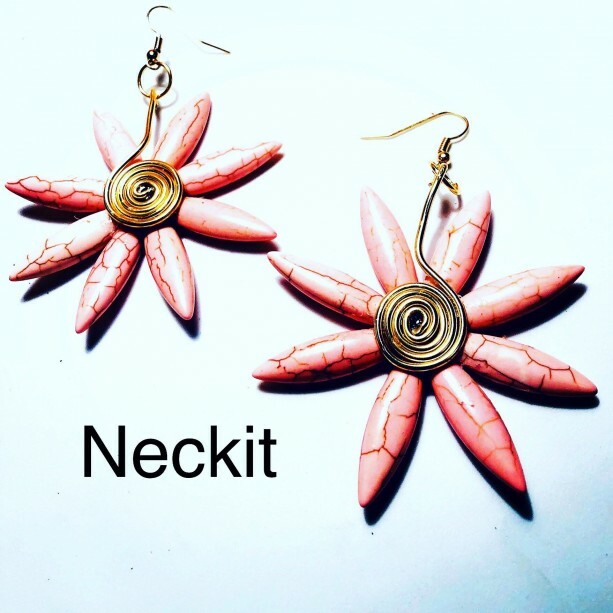 Unique beauties made with pink beads, gold wire and findings. Flower measures 2 1/2”. Earrings hang 3”.